RAISE UR PAW NEWS: HOWLEEN IS HERE! - Keeping Your Pets Safe on Halloween! HOWLEEN IS HERE! 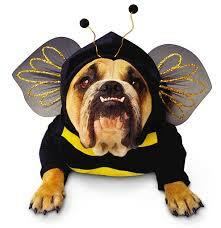 - Keeping Your Pets Safe on Halloween! 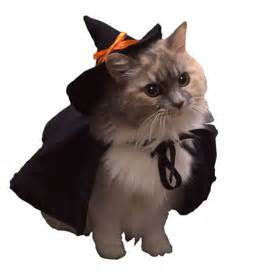 But for your furry family members a night such as this can be quite frightening and stressful, considering that they do not understand the idea of what Halloween can bring. 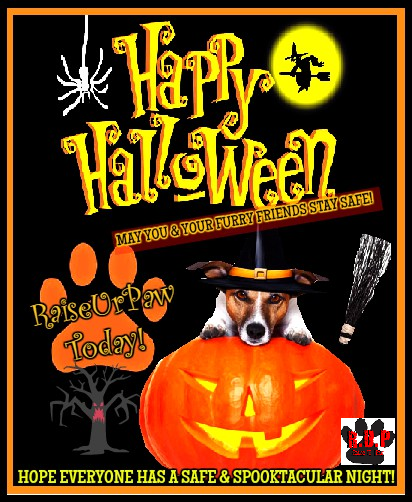 So it is our responsibility and duty to make sure that safety is a priority for not only our children, but for our innocent furry family members as well - just so that everyone has a Happy Halloween full of fun and thrill instead of fear, stress and other hazards. SOME SAFETY TIPS THAT JUST MAY HELP! KEEP CANDY AWAY FROM PETS: Sure Candy & Chocolate can be a real "YUMMY TREAT" but for your furry friends, giving them or them getting into such objects of delight can be dangerous and harmful to your pets - (especially chocolate) - but there are also sugar free candies that contain an artificial sweetener called XYLITOL, which can be toxic to your babies. Along with this please toss out any candy wrappers etc - just so that your furry family member doesn't swallow them and be in danger. KEEP DECORATIONS, JACK"O"LANTERNS ETC. 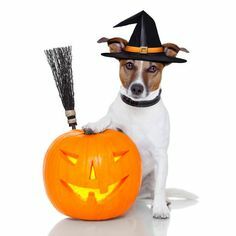 UP & AWAY FROM PETS: Decorations and Jack "o" lanterns give your home the spooktacular effect that will surely attract the attention of little trick or treaters... but it can also grab the attention of pets as well. Wires and Cords should be kept out of reach, for if chewed can cause burns, cuts, or electrocution causing death or extreme injury to your beloved pet. Jack "o" Lanterns should be kept out of reach as well, for if knocked over can cause injury or cause a fire within your home. 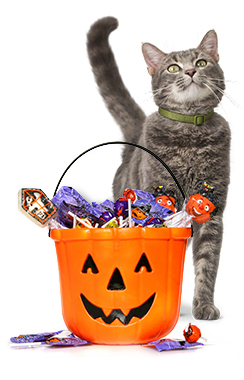 TRICK OR TREATER TRAFFIC: With the constant traffic of trick or treaters coming to your door - this here can be extremely frightening and stressful for your pet (the constant knocking or ringing of the door bell and the fear of the costumes and masks in which children wear.) The best idea is to make sure that your pet is either in another room away from the hustle and bustle or kept under control and relaxed, because sometimes the animal can become protective and aggressive with the strange encounters that are happening. COSTUME OR NO COSTUME, THAT IS THE QUESTION: I do have to say that some pets love being dressed up for Halloween, and many find putting such costumes on their furry family members adorable and humorous -- BUT, there is a good chance that some do not like to be decorated up in such wear, and this can be stressful and frightening to them as well. Those who do love wearing these costumes, be sure that they will be safe and to make sure that such costumes are tried on them so there is no restriction of breathing, or interfere with their vision, hearing or movement. Also be aware of any dangling pieces which can cause injury or choking, and also make sure that your pets do not have any allergic reaction. MAKE SURE YOUR ANIMALS HAVE THEIR ID: Please be sure that your pets have an identification tag or someway to be identified if the frights of the holiday make them run away or become lost - Some pets do get spooked from the excitement, which leads them to flee and hide, or if your pet happens to get out. Identification tags will help anyone who finds your beloved family member identify them and bring them back into your arms. 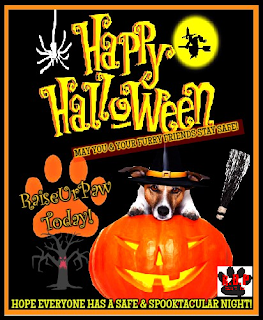 IF YOU HAVE ANY OTHER SAFETY TIPS THAT YOU WOULD LOVE TO SHARE WITH US, PLEASE FEEL FREE TO PUT THEM IN OUR COMMENT BOX UNDER THIS ENTRY :) EVERY BIT OF AID AND SUPPORT WILL MAKE THIS HALLOWEEN SAFE AND SPOOKTACULAR FOR OUR BELOVED FURRY FAMILY MEMBERS. FROM ALL OF US AT RAISE UR PAW! STOP DOG/CAT MEAT TRADE FOREVER! #DOGTOBER - "FALL" for a Dog In Need!